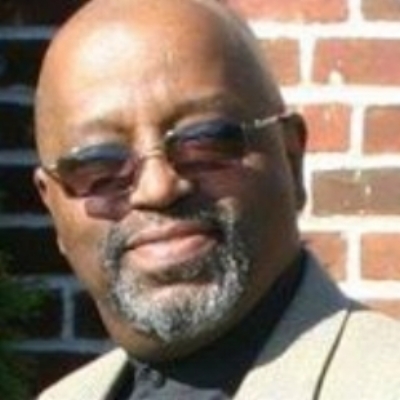 Darrell Bridges has been a highly committed music business professional for more than 20 years. Through Arts and Education Continuum, Darrell provides management services to Craig Harris, Jay Rodriguez, & Firey String Sistas. Darrell’s in-the-trenches experiences have covered a wide array of activities, including concert production, business administration, tour, stage and studio management, publishing, photography, and other necessary items that spring up in day-to-day music business endeavors. Darrell also has a commitment to youth. Through Arts and Education Continuum these youth programs are provided, Young Women’s Leadership program, Young Men’s Leadership program and the summer Axiom Community Leadership program. The aim of these programs is to inspire youth to understand what it means to be citizens of their communities and of the world and how they can affect change. The mission of this work is to build leaders for today and for tomorrow! Jesus Ward first became involved in the arts as young man growing up in Woodhaven, Queens. There, he had a front-row seat to watch the graffiti movement as it unfolded; he connected with the writers and crews who introduced him to 5Pointz Aerosol Art Center, where he studied and eventually began creating legal graffiti murals. He also developed an interest in art photography, which he honed as an undergraduate at Hunter College. After Jesus graduated from Hunter, his other love, technology, ultimately landed him a career in the tech departments at various advertising and media companies. He currently leads the AV and Event technologies at BuzzFeed, Inc.
LaNeese is a Native New Yorker and graduate of Frank Sinatra School of The Arts where she was able to perform at City Center, Lincoln Center, and the Metropolitan Opera. She later went on to complete her higher education graduating from North Agricultural & Technical State University with a Bachelors in Media Management and Liberal Studies with a concentration in dance. She has been able to intern with companies such as ABT, Dance 411, Theatre Arts Center, and Triad Stage while working as freelance choreographer and dance instructor at several dance studios North Carolina. She has studied and performed abroad in Kingston, Jamaica at the Edna Manley College of Visual and Performing Arts. She is the 2016 recipient of the Featured Highlights choreographer of the year award. Her choreographic work has been showcased in Atlanta, New York, and North Carolina. She is the owner of Femme Strut, a company that specializes in providing private dance party services while encouraging sisterhood, self-confidence, and self-love through a dance-filled celebration as well as continuing to work as a choreographer and dancer in the New York City area. Classically trained on the piano, trumpet and violin, Linette Townsley is a native New Yorker and graduate of the “Fame” school, Fiorello H. LaGuardia High School of Music & Art and Performing Arts. She went on to Medgar Evers College for Business Administration and Emerging Leaders program at Baruch College. 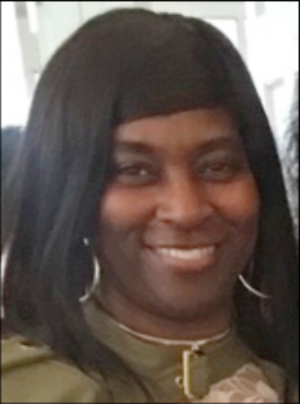 For the past 27 years she has worked for United Parcel Service the leading package delivery and chain supply chain management company. Linette serves as the Community Relations Representative to Congressman Meeks and the co-chair of the African American Business Resource Group for UPS. In 2007 she co-founded Community Youth Care Services, Inc. out of school programs where she is currently the program manager and board member. She also served as PTA President for PS 15Q and IS 59Q. Linette continues to serve her community as a youth advisor of Jamaica NAACP Youth Council, where she is a dedicated advocate for many important political and social changes. Tyra Emerson, Executive Director for the first Collaborative of Arts, Education & Business Organization in Southeast Queens, has been the driving force and example of how community partnerships can work together with one common goal. Her success with the Collaborative has been the model for other partnerships ; LACE, Harlem Arts Alliance. Under her tutelage, she has created unique partnerships that spur cultural & economic development in Southeast Queens and supports members’ commitment to Jamaica through education and cultural events. Ms. Emerson shares bragging rights with Black Spectrum Theatre and the Jamaica Center for Arts & Learning for the restoration of the former First Reformed Church, 153rd street and Jamaica Avenue, now called the Jamaica Performing Arts Center. Emerson coordinated the Queens Borough President’s and York College" Black History & Martin Luther King Jr. celebrations". A panelist for New York Foundation for the Arts, Girls Inc., New York State Council of the Arts, Dept. of Education and Centro Hispanico “Cusvatlan” Association. Ms. Emerson currently sits on the advisory boards of Festival Ensemble Opera Company, Oratorical Society of Queens, Juvenile Justice, and Chairs; Jamaica Is, Friends of Rufus King Park & Jamaica JAMS committee. Yolanda Johnson has been a member of the Queens community for many years, and as such, has volunteered at many community events. She is a member of the New York State PTA and Queens PTA. She has been a member of the PTA Executive Board at the elementary and junior high school level, and continues to assist the PTA Executive Board at the high school level, fighting to maintain and improve the arts in Queens schools, presenting the argument that the arts improves academic performance. She attributes her son’s accomplishments as a mathematics major in college on the dean’s list, to his accomplishments as a pianist. By day, she is a public servant, planning conferences and developing procedures for better decision-making and holds a B.S. in Business Administration. Her biggest claim to fame is that she is an arts lover and cannot imagine a world without the arts. Aryana has worked with independent artists, nonprofits, and large media corporations to develop brand-aligned, mission-centered, digital and video content. Prior to her role as Senior Associate, Educational Media & Technology at Carnegie Hall, Aryana was an Associate Producer at Amplify, developing industry-leading K-12 online learning experiences. Aryana has organized play festivals, reading series, and professional development opportunities for artists in various disciplines. Her background includes work as a projection and sound designer, video editor, and media arts educator. She trained in screenwriting and production at the Conservatory of Theater Arts and Film at SUNY Purchase. She holds a certificate in non-profit management from Fordham University. She is a member of the inaugural Diversity in Arts Leadership Labs cohort at the Arts and Business Council of New York. Highlights from her professional development include completion of the Fellowship for Emerging Leaders in Public Service at NYU Wagner and Innovative Cultural Advocacy Fellowship at the Caribbean Cultural Center African Diaspora Institute. Dylan House is an open space advocate, cultural programmer, and participatory designer. Currently Dylan is the Public Programs Manager at Queens Botanical Garden where he works to create educational and cultural programs, events, and installations that bring together and reflect the diverse communities of Queens. Dylan has over ten years of experience in engaging communities to shape their public spaces and neighborhoods in NYC, using participatory public art as a key strategy. Previously at Hester Street Collaborative, Dylan led community based planning processes and coordinated design education programs with NYC public schools. He also worked closely with the NYC Department of Parks & Recreation and Partnerships for Parks to develop the People Make Parks (PMP) initiative, a blueprint for participation in the design of parks and play spaces. Dylan is a graduate of Pratt Institute with a Bachelor of Architecture, and studied architecture and urban design abroad in Paris and Rome. Jaime-Faye Bean is the Executive Director of the Sunnyside Shines Business Improvement District. Sunnyside Shines represents over 300 businesses and property owners along Queens Boulevard and Greenpoint Avenue; the majority of businesses within the BID are immigrant-owned small businesses. Under Jaime’s leadership at Sunnyside Shines, the organization’s ”Beats in Bliss” performing arts series in Bliss Plaza has expanded into a weekly, 5-month-long festival of free and accessible live music and dance programming in the heart of Sunnyside’s commercial district. In 2017, the Queens Council on the Arts recognized Sunnyside Shines with its Junior Board Outstanding Artistic Excellence Award. Jaime comes to the BID with an extensive background in non-profit leadership, including senior positions at major arts, advocacy, and medical institutions. In her previous role as Executive Director at ArteEast, Ms. Bean launched the ArteEast International Residency for artists from the Middle East and North Africa, as well as ArteHub, an event series that engages the public explorations of the contemporary creative culture of the MENA region. A Vermont native, Jaime is a graduate of Dartmouth College and has lived and worked in Europe and the Middle East. Landon Knoblock is a composer for film and television. His work can be heard on Dateline NBC, The Today Show, and ABC’s Truth and Lies: Watergate. Landon has composed music for over a dozen short films and projects, including the award winning indie horror shorts “Mama’s Boy” and “What’s For Dinner?”. In addition to his film and television work, his music has underscored stories on Slack’s “Work in Progress” and Garbage Productions “Star Trek: Redundancy” podcasts. In 2017, Landon was selected as an awardee for Queens Council on the Arts inaugural Artist Commissioning Program. His commissioned social just music project “A Voice for the Voiceless” was inspired by and created with the voices of Queens public school youth experiencing housing instability. Whether through his work as an in-demand composer, or through his formative years as a touring and studio musician, Landon has always endeavored to tell stories through his music. Michelle Gavora was born and raised in Bayside, Queens. She usually goes by the nickname Mishka which means little mouse is Slovak. Gavora graduated SUNY New Paltz with a B.A in Art History and Costume Design. Since having graduated she has worked in a multitude of positions in the Art World all based in NYC, none in Queens. These roles including but were not limited to a Curatorial Assistant, Art Representative, Muralist, Art Educator, Community Arts and Gallery Assistant. Growing up in a predominantly Eastern European household wth a generational age gap Gavora was directly influenced by the cultures, aesthetics and values of her family. This background combined with receiving an education from the public school system in Queens, exposed Gavora at a very young age, to all different kinds of people; cultures, religions, and nationalities. This strongly influenced her world views as well as her approach to the arts. Gavora created art herself ranging in all different mediums such as writing, painting, photography, weaving, and clothing design. Although as an artist herself her goal in the art world is to curate. She is on a path to create a space for working artist from all walks of life to share their work, while allowing said work to be enjoyed and much more accessible and available to all audiences. Queens specifically, is commonly refereed as an outer borough but Gavora as always seen it as a magical place rich with art and culture , and motived artists and a lot of untouched potential. Her experience in the Arts, juxtaposed with her life in Queens inspired her to build a career that will bridge this gap. As the Executive Director of Lewis Latimer House Museum (LLHM), Ran Yan works to engage diverse audiences through inclusive programs rooted in African American inventor, poet, and painter Lewis H. Latimer’s legacy. She builds partnerships with community stakeholders in Flushing, Queens and various organizations across New York City. At LLHM, now a New York City Landmark, Latimer’s life story is used as a point of departure from which to examine issues of race, class, immigration and contemporary events. Ran is passionate about arts as a public good as well as racial and gender equities. Before moving to New York City, Ran studied architecture and preservation at Tongji University in Shanghai, and completed her Master’s Degree in Historic Preservation Planning at Cornell University. She is a Beijing native living in Jackson Heights, Queens and calls New York City her home. 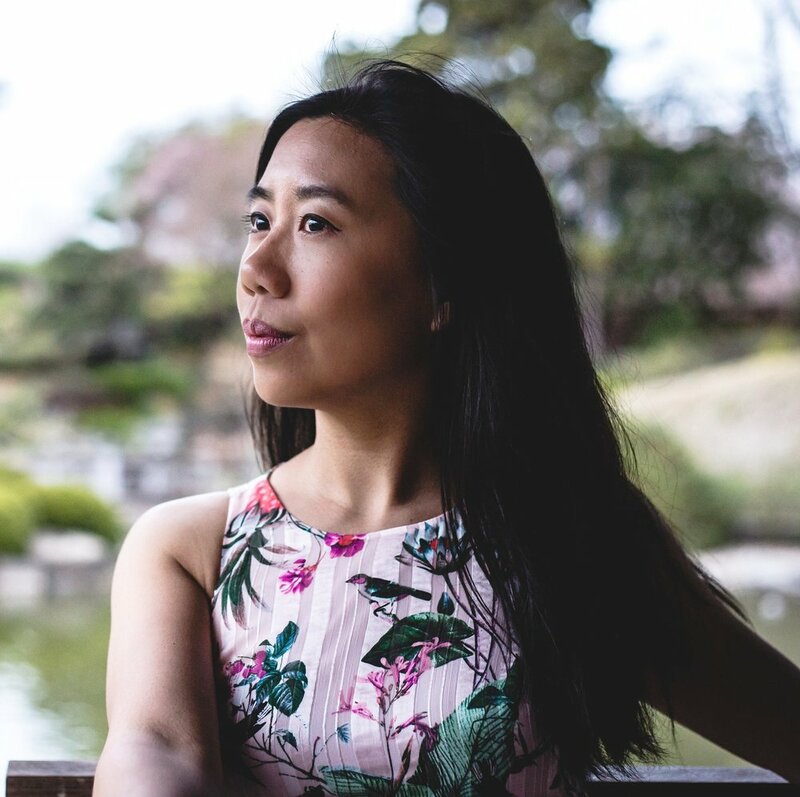 Sharon M. Chin is a Queens native- born in Flushing, raised in Bayside, and a resident of Astoria- who has long embraced the artistic and cultural heritage of her hometown. Chin is a graduate of Townsend Harris High School and Columbia University- where she studied English, Political Science, and human rights. She serves on the Global Language Project’s non-profit board and is a Humanity in Action Senior Fellow. In her professional life, Chin is a management consultant with PricewaterhouseCoopers, providing strategic guidance to healthcare and social impact organizations. In her creative life, Chin is an avid swing and tango dancer. Chin social dances regularly and has performed with Project Connect and the Flying Camels Shag Club. Besides dancing, Chin is vested in understanding artists’ creative processes and interviews artists under www.creativesanctum.us. Chin is proud to participate in the QCA Arts Producer Program and support underrepresented artistic voices from Flushing, Queens. The Artist Commissioning Program (ACP) provides Queens choreographers, playwrights, and composers $10,000 towards the creation and production of a new, original work to be interpreted for dance, theater, and music. This innovative program allows Queens community members to participate as Art Producers, who commission the artists in a participatory panel and serve as a support structure throughout the awardees' creation and production process. Both Artists and Art Producers receive access to professional development programming and collaborative arts events throughout the year-long program. ACP is generously funded by the Scherman Foundation’s Rosin Fund.